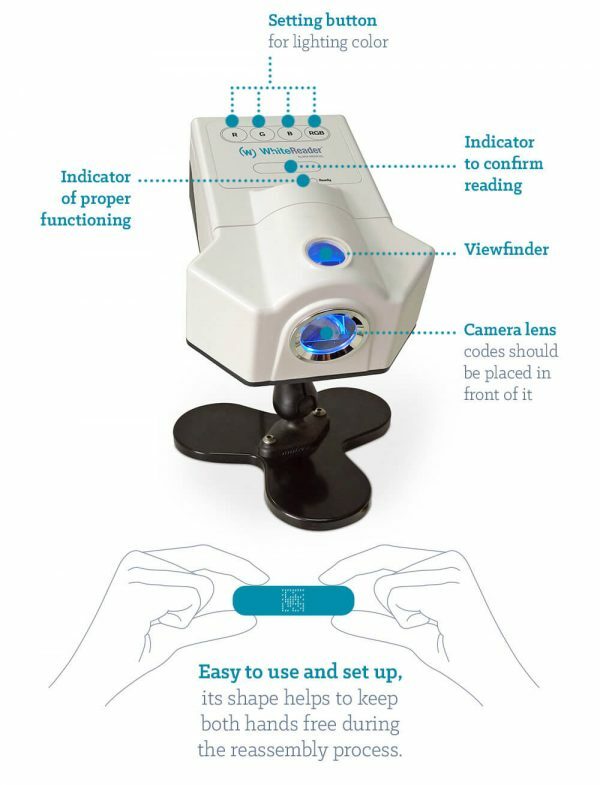 The WhiteReader® is a DataMatrix code reader, specifically designed to read engraved codes on surgical instruments, as part of sterilization in hospitals. It has been designed by our R&D team, in partnership with sterilization professionals, and it is manufactured on our site in France. The design enables the user to keep hands free and better organize the work surface, thanks to an automatic reading trigger. 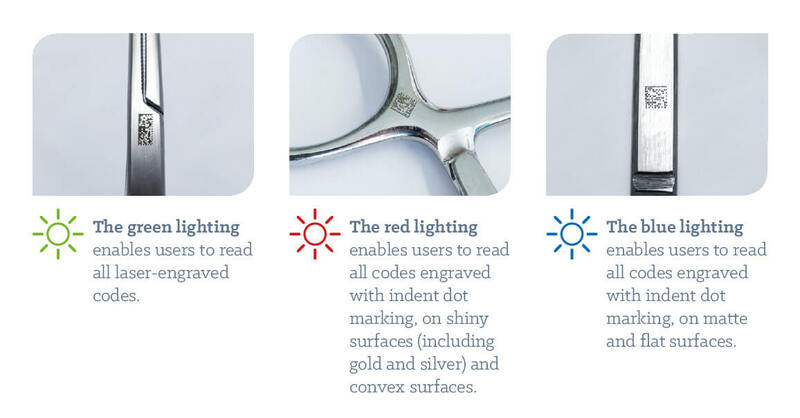 The three lighting colors enable users to read any DataMatrix code instantly, regardless of the material or the engraving process used (laser, indent dot marking, Infodot). Proper lighting markedly improves camera reading productivity. 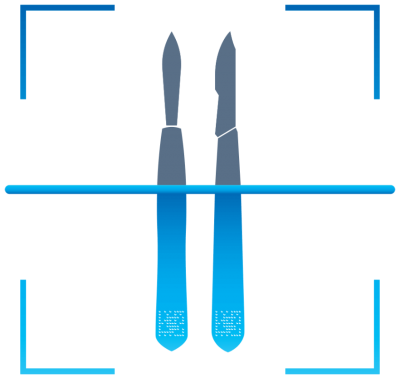 A clearer view enables faster code-reading in the sterilization process and makes it easier to reassemble surgical sets. The WhiteReader® innovative lighting is covered by an international patent. The WhiteReader® reads efficiently any DataMatrix code on any surgical instrument, even damaged ones. 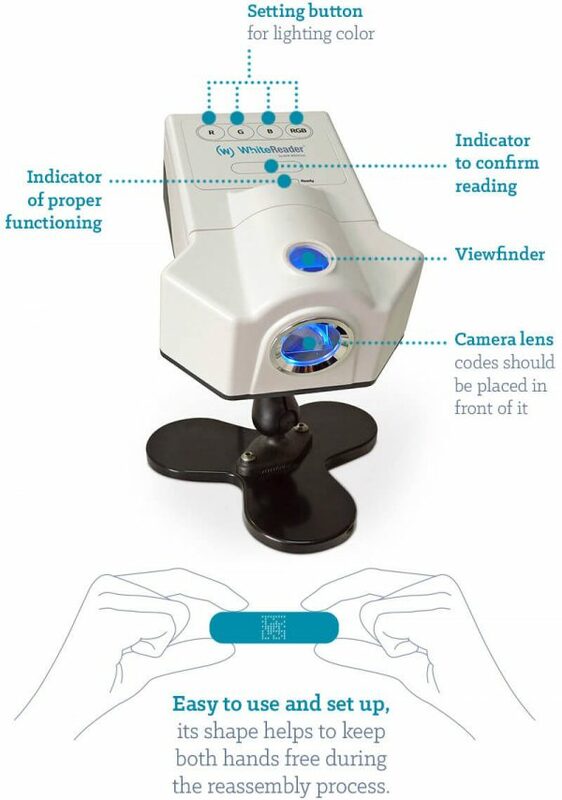 The 3 different lightings on the device make the WhiteReader® unique thanks to its innovative color combination (Red, Green, Blue) that guarantees a clear image regardless of the appearance of the surgical instruments.